Meet the panelists of the Roundtable: La Segua: A morality tale on vanity and narcissism. 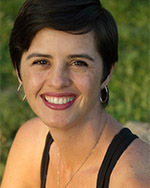 Jimena Alvarado, Ph.D. taught Women’s and Gender Studies at Portland Community College. She specializes in helping beginners understand their own privilege. She was born and raised in Costa Rica, and recently decided to make Portland her new home. Jimena is passionate about intersectional feminism and social justice, and gets pretty intense about the best ways to teach them. She’s devoted her energy into creating a curriculum that puts students at the center and lets them rethink their own social context. Her website everydaysocialjustice.com hosts all of her teaching materials to help students, teachers and the folks interested in learning on their own. She has degrees in Community Psychology and Women’s Studies. Eddy Francisco Alvarez Jr., Ph.D.
Dr. Eddy Francisco Alvarez Jr.’s interests include gender and sexuality studies, queer of color theory, Jotería Studies, queer migrations, Chican@ and Latinx aesthetics and popular culture, performance, queer and feminist geographies, queer oral histories and archives, and decolonial pedagogy. He is currently working on a book manuscript titled Finding Sequins in the Rubble: Mapping Queer Latinx Los Angeles, a feminist oral history and archival project that charts LGBTQ immigrant, Chican@ and Latinx memories, activism, and culture in Los Angeles. His other major project is on queer, trans, and feminist fans of controversial Mexican pop icon Gloria Trevi. He is interested in how and why Trevi’s trajectory, music, and performances have influenced her fans in the US and Latin America, and across generations. 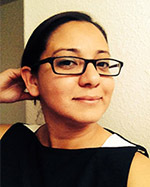 Dr. Elena Avilés investigates contemporary U.S. Latinx and Chicanx expression and production. Her specializations include Chicanx/Latinx Studies, the literary and visual arts, and U.S. Spanish Studies. She teaches courses in the humanities as praxis to engage students in transnational/global exchanges inclusive of the Chicanx/Latinx diaspora. She is an Assistant Professor of Chicano/Latino Studies at Portland State University. She is currently elaborating upon the artistic and literary work by Chicanas drawing from feminism, ethnography, and critical heritage studies to theorize on Chicana identities in public spaces. She earned a B.A. in Spanish and Chicana/o Studies, an M.S. in Counseling and a Ph.D. in Hispanic Languages and Literature. 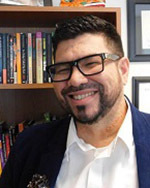 Born in San José, Costa Rica, Dr. Óscar Fernández specializes in inter-American studies, literary theory, and the intersection of culture, sexuality, and representations of disease in literature. With more than 15 years of university teaching experience in private and public institutions in Oregon, he has taught at Reed College, Portland Community College, and Portland State University (PSU). At PSU, he currently serves as University Studies’ Diversity, Equity, and Inclusion Coordinator and teaches yearlong courses on immigration. 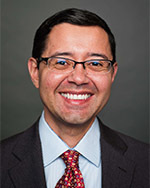 Dr. Fernández earned his BA in English Literature from Ohio Wesleyan University and a Ph.D. in Comparative Literature from The Pennsylvania State University.